At the end of the year, Indianola Municipal Utilities will be moving their offices from City Hall to their new location 210 W. 2nd Ave. 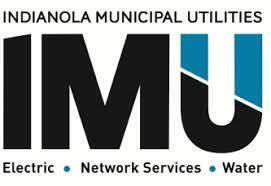 Residents who use IMU for their utilities will no longer pay their utility bill at City Hall, but will have the opportunity to use walk-up stations at the new location for service, sign-up, and support. The new location will also have drive-through drop-boxes for residents to pay their bills. IMU is also in the process of installing fiber-internet throughout the city, and any questions about signing up for the installation can be directed to the IMU office.